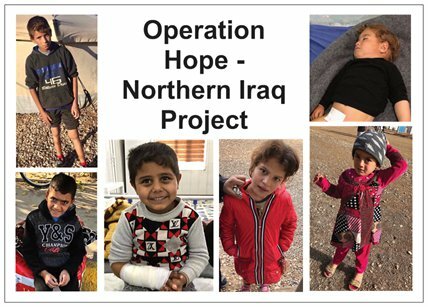 We are very very grateful and excited to share the news – Operation Hope, through our donors, raised $5,166.70 in January. Second surgery for Abdulmalik for reconstruction and plastic surgery of his right hand and arm, following serious injuries in airstrike last year in Mosul. Thank you so much to all our generous donors who have made these operations and treatments possible. Some of the children feature in the postcard posted above. Please read the individual blogs on the cover page of our website for medical cases still requiring funding.